Huge shout out to Nick over at Sound Space Atlanta for his creative genius and super awesome intro song! 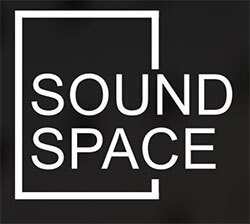 Sound Space is a unique music lesson studio located in Atlanta’s West Midtown neighborhood at The Goat Farm Arts Center. In addition to private lessons we also offer full service guitar and bass repair. Interested in sponsoring The Balanced Dog Podcast? General questions, comments? Give us a shout…. © 2019 The Balanced Dog Podcast™. All Rights Reserved.